A Lowly Lakewood Stoop Gets the Boot to Make Way for a Fab Low-maintenance Deck! Archadeck of NE Dallas-Southlake transformed this outdoor living area into a space that the whole family can enjoy, day or night. These Lakewood homeowners imagined themselves getting much more enjoyment out of their fabulous backyard area, so they called on us to offer a family-friendly, stylish solution. Before we arrived on the scene, this family had but a stoop by their home – a basic means of traveling to and from their back yard. With children, they needed a space for playtime right outside their door. For themselves, a spot to relax while the kids are at play. Archadeck of Northeast Dallas-Southlake provided for those needs and more! See why you should choose us as your Dallas deck builder. 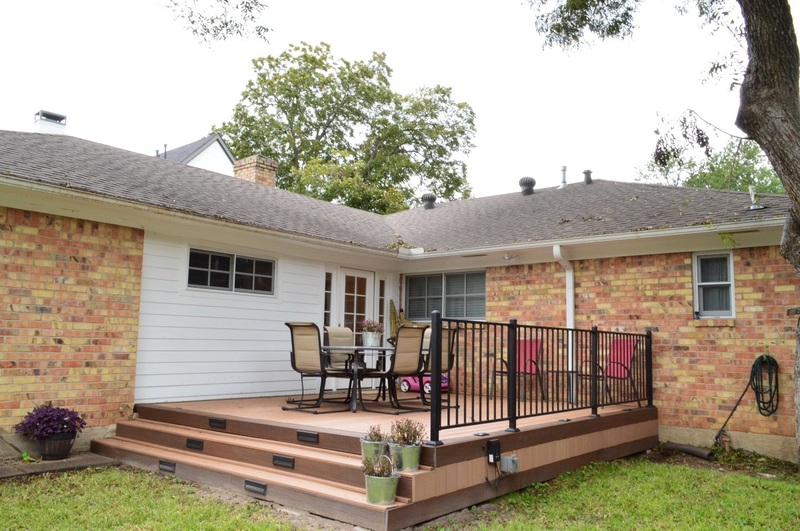 We offered this family a low-maintenance outdoor living space with a beautiful Fortress deck. They chose two decking material colors, which beautifully complement their home’s brick exterior. The deck was built using Sahara Sand with framing and accents in Tiger Cove, creating a unique and stylish aesthetic. This composite deck will see this family through many years of use, offering fade, impact, and scratch resistance for their busy outdoor living style. We offer custom capabilities to set your Lakewood deck apart from the rest! — Custom Sahara Sand Fortress deck with Tiger Cove framing accents. Further customization of this low-maintenance deck includes enclosing one side with Fortress railings providing low-voltage riser lighting for use after dark. 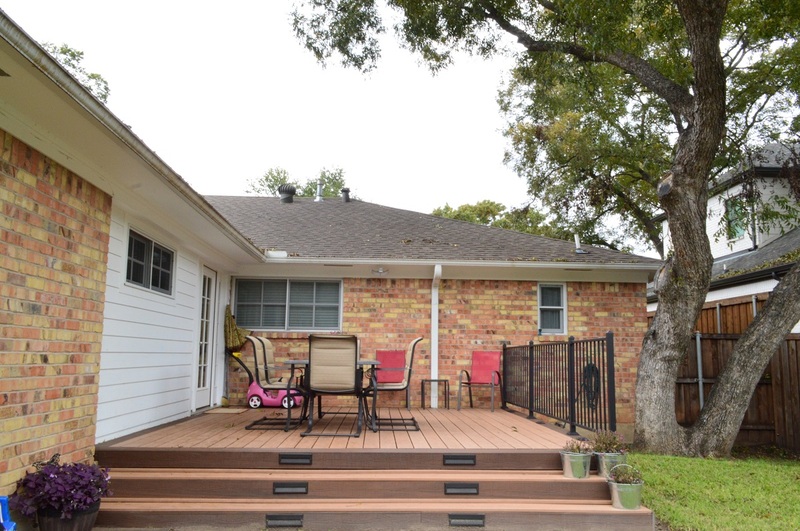 Extra-wide steps will accommodate much foot traffic for play dates, birthday parties, and any other occasion — and, these steps are so accommodating, even the pecan-swiping resident squirrels might get ample use of them alongside this Lakewood family! At Archadeck of NE Dallas-Southlake, we will build your new Lakewood outdoor living area to accommodate your whole family and guests – invited or not. 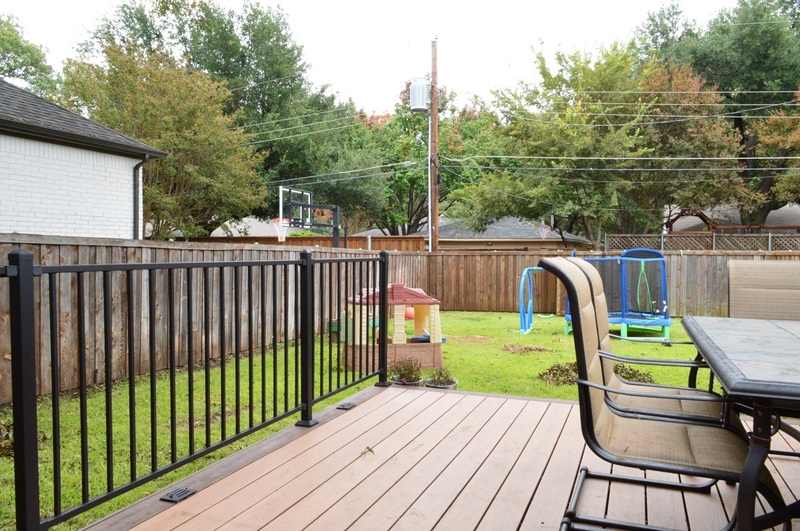 — Two-tone, low-maintenance Dallas deck and railing with low-voltage riser lights. You don’t have to settle for unaccommodating outdoor living spaces in Lakewood. If you live in the Lakewood area, you are used to seeing stately homes, mature trees, and wonderful backyard spaces. If your older Lakewood home has a perfunctory stoop or underutilized concrete patio pad, call on Archadeck of NE Dallas-Southlake to build an updated, usable, and stylish outdoor living space. Allow us to build the perfect outdoor living space for your home and specific needs! — Before – a humble stoop and sidewalk utilized for outdoor seating. Are you looking for a deck builder for your Lakewood home? Contact Archadeck of NE Dallas-Southlake today to bring your outdoor living visions to life! 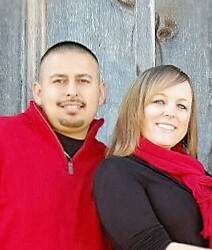 Contact us today at 972-904-3325 or email us at [email protected] to schedule your design consultation.